Baratunde Thurston Explains 'How To Be Black' From the comedian and digital director of The Onion, a satirical self-help book for anyone who has a black friend, wants to be the next black president or speak for the black community. 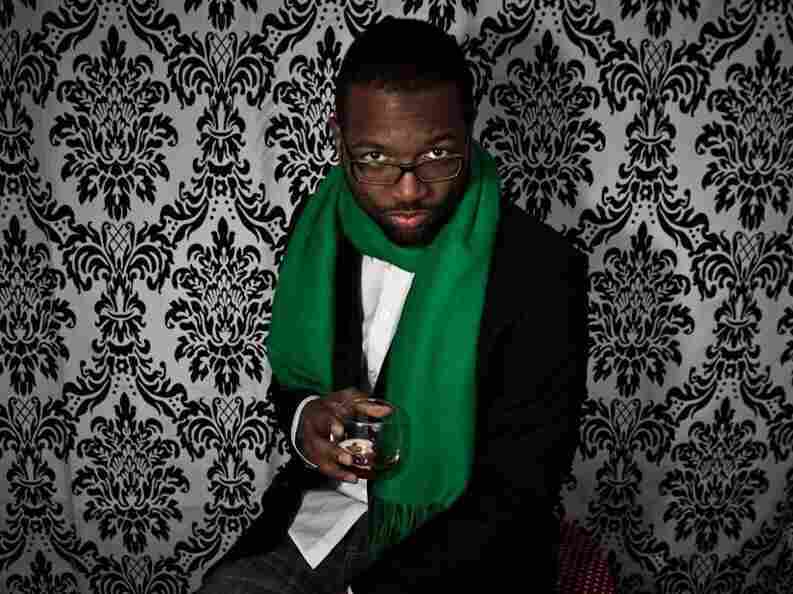 Baratunde Thurston is an American comedian and the digital director of The Onion. He co-founded the black political blog Jack & Jill Politics. He is also a prolific tweeter. It's no coincidence that Baratunde Thurston's new memoir and satirical self-help book How to Be Black was slated for release on the first day of Black History Month. "I feel great about that," Thurston tells Fresh Air's Terry Gross. "I think we have a moment every year in our country where everyone buys black stamps and thinks more explicitly about black people and blackness, so it was a perfect month to release a book on this subject." Thurston, a stand-up comedian and The Onion's digital director, says that he doesn't get as many gigs this month as one might think. "There aren't as many black spokespersons to go around, so I'm happy to play that role from time to time," he says. "But I think this year will probably be a little bigger than years past." 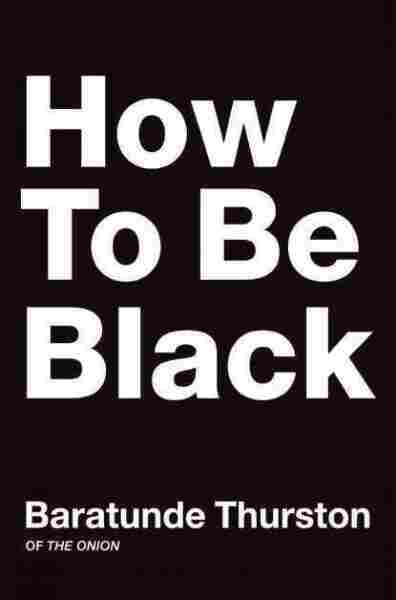 That's because How to Be Black is partially a practical guidebook for anyone looking to befriend or work with a black person, become the next black president or challenge anyone who says they speak for all black people. But the book isn't just filled with comedic advice. Thurston weaves together his comedy with thoughtful missives about his own education at Sidwell Friends and Harvard University, and his childhood in one of the worst crack-addled neighborhoods in Washington, D.C. His father was killed in a drug deal when Thurston was 6. His mother was what he describes as a "pan-African hippie type of woman who marched in the streets" and named him Baratunde as a way to "get back to Africa." "My version of being black adheres as much to the stereotypes as it dramatically breaks from them," he writes in How to Be Black. "And that's probably true for most of you reading this: if not about blackness itself, then about something related to your identity. Through my story, I hope to expose you to another side of the black experience while offering practical, comedic advice based on my own painful lessons learned." When Thurston went to school, his teachers shortened his name — which means "one who is chosen" in Nigeria — and started calling him "Barrington." They later shortened it to "Barry." "Baratunde was a little strange for them," he says. "I was a child and had no freedom, so I was 'Barrington' and then 'Barry' and then in 7th grade, it just clicked for me. My name's Baratunde. It's a great name. People should call me that." It took some time, but Thurston eventually retrained his classmates to call him Baratunde. "People assume there's a nickname, and they just jump to it, or they say, 'What do people call you for short?' And I say 'Baratunde. Just say it faster. It can save you time and be a little bit more efficient if you're worried about the time.' "
Thurston says he often encounters different assumptions based on his name, depending on his audience. Nigerians immediately think he's from Africa, and then are disappointed to learn that he's not. The reaction from Americans, meanwhile, is also mixed. "American-born black people don't have that much of a reaction, because American blacks are used to interesting names in our community," he says. "And then from white Americans, it's the assumption of, 'Well, you have to have a nickname' or 'What does it mean?' Because it has to have some sort of superdeep meaning. So the name for me became a prism, because Baratunde has such a strong sound ... so it signals to people, 'This is definitely not a white dude. Maybe he's a black dude or an African dude.' But the reaction from the actual Nigerian community — which is 'You're not one of us either' — was a fun thing to experience growing up." Thurston says his name wasn't the only indication that he straddled two worlds as a kid. On the weekdays, he attended the private Sidwell Friends School, where he played lacrosse and hockey and hung out with kids whose parents ran the State Department and the World Health Organization. But every Saturday, he attended what he calls "a Hebrew School or Bar Mitzvah for Blackness" in the Washington neighborhood of Columbia Heights. "[My mother] enrolled me in a 'Rights of Passage' program," he says. "Every Saturday morning, we'd have physical training, we'd read books like The Isis Papers, and we would dance and do all kinds of cultural and intellectual activities to ground us in what they thought was a more appropriate Africanness in that era ... But even at home, it didn't stop. My mom had this map of Africa on her bedroom wall, and she'd actually quiz me." Growing Up In Washington, D.C.
Thurston's mom raised him by herself after his father was killed. He remembers his mother telling him his father was dead after receiving a phone call from the police. "I started crying," he says. "And it's such a strange thing to think about because I know what those words mean now — I've experienced death as an adult — and hearing those words and having those feelings at 6, they're a little different. So I know I had a physical reaction, but it wasn't until years later that I fully understood what that meant." Thurston says he remembers not being allowed outside at the height of the 1980s crack epidemic in the district. "I remember not being allowed to sit on our front stoop," he says. "There was a period of time when that was no longer allowed. I remember not playing outside as much, being told: Go to so-and-so's house but stay inside. And I also have a very particular memory of watching some of my friends walk down that road [toward drugs that] I didn't walk down." Thurston says one family on his street morphed "almost like that figure of evolution — of the ape hunched over becoming man" into drug dealers. "You could watch the older brother get into the drug business, and then the next one and the next one, and that was the pattern established," he says. "I remember when those guys used to deliver pizza for Domino's and that was their way of making money ... I remember when those same kids set up a lemonade stand. And then I remember when their jackets got nicer, their boots got nicer and they were selling drugs. That was such a strong memory in my head." In junior high, Thurston moved from Columbia Heights to a suburban black neighborhood in Maryland. The move, once again, made him shift his persona. "I think there was a Baratunde from Newton Street [in Washington, D.C.] who learned to walk those streets and navigate that world and be very comfortable with all the things happening in the street, and then there was the library-studious high school newspaper Baratunde, and then there was the Black Power 'Tunde that was also going down," he says. "And those worlds often collided." Thurston says he was able to balance his worlds because he was taught "multiple extremes." At Sidwell, he says, the faculty was always trying to find more black faculty members. "Meanwhile, in the ['Rights of Passage' program] it was: Africa did this, Africa did that, and the white man caused this," he says. "And those [viewpoints] either cancel each other out or they drive the bearer of both ideas insane. I didn't go insane. So it encouraged me to see the goods in both sides and challenge both perspectives." "It was my first day at Sidwell. A black student who had been at the school for a really long time was assigned to be my buddy and adjust me to the environment. And he asked if I knew what an Oreo was. We were in the first stairwell of the upper-school building, in the southeast corner, I remember all this. And I really thought he was talking about cookies. I said, 'Yeah, it's the cream-filled cookie from Nabisco.' And he's like, 'No, no man. Oreo's someone who is black on the outside and white on the inside.' And then he made an example. He pointed to a kid across the way and said, 'That kid's an Oreo.' And I didn't know the kid's name at the time — I saw this nerdy black kid with glasses hanging out with white friends ... And that was the first introduction of this concept, inauthentic blackness because you're comfortable around whiteness." "I have an image in my head of the layers of expectations around your identity. At a school like Sidwell, let's just take the fun fact of a black kid who's been at Sidwell all his life judging another black kid at Sidwell's blackness ... Then you take someone like me that would go to Sidwell by day and then go back to my neighborhood and the black kids there, and their judgment of someone like me who goes off to the fancy private school. Initially, it was like: 'Oh, you go to that white school.' I never got hit with the heavy 'Oh, you think you're white,' in part because these kids just knew me. But you will get it from kids who don't know you." "A lot of white people like black people. They buy hip-hop, they watch black athletic and sports figures, and it's superpopular — from jazz through hip-hop. Having a black friend is a mark of progressive success as a white person. And the black person is usually seen as their asset. It's like: I'm cooler by proxy. ... What black people get in the white community [is having] a covert operative behind enemy lines. You have a trusted source who can shuttle information back and forth. It's like the Cold War. It's a back channel that prevents race wars from blowing up. So if your white friend has a question about something, they can ask you, their trusted black friend, and you can feed them real or false information, depending on your purposes, but they don't have to make an assumption or a leap that ends up in a more awkward, more public moment." "I hate the franchise. I think it is bad for America and little girls. You basically got this stalker vampire who's basically abusing this low self-esteem child, and that is hailed as a great image of love and respect. Because I have read the books and suffered through them, I wanted to prevent others from falling into that same fate. So on opening weekend, I go to the theater, I sit in the back to not disturb people, and I live-hate-tweet the film. And that just means I tweet in real-time with hate. I absolutely disdain this franchise. So I'm describing the storyline through my eyes and what the story really means, and it's proved very popular. And most importantly, I've prevented people from spending their hard-earned money."